you can hear its breathing. This past week, I traveled to Oregon with my adult children to attend Donald Miller’s Storyline Conference in Portland. The objective of Storyline is to help us tell better stories with our lives. Through two days of entertaining lectures, through amazing interviews with individuals who are making a difference in this world, and through contemplative journaling exercises, we began to write a life plan that—at the end of our days and when the credits roll—will create a life with purpose and meaning. We humans have this incredible need to find meaning for our lives. We need to understand why we are here, what it is that we are supposed to be doing with our lives. Doesn’t God have a plan for me? And, if so, what is that plan? …To draw pictures and tell stories. Before meeting Son in Portland for the conference, Daughter and I spent a few days in the Columbia River Gorge and driving the Oregon coastline on a road that winds along wave-splashed cliffs and windswept dunes. 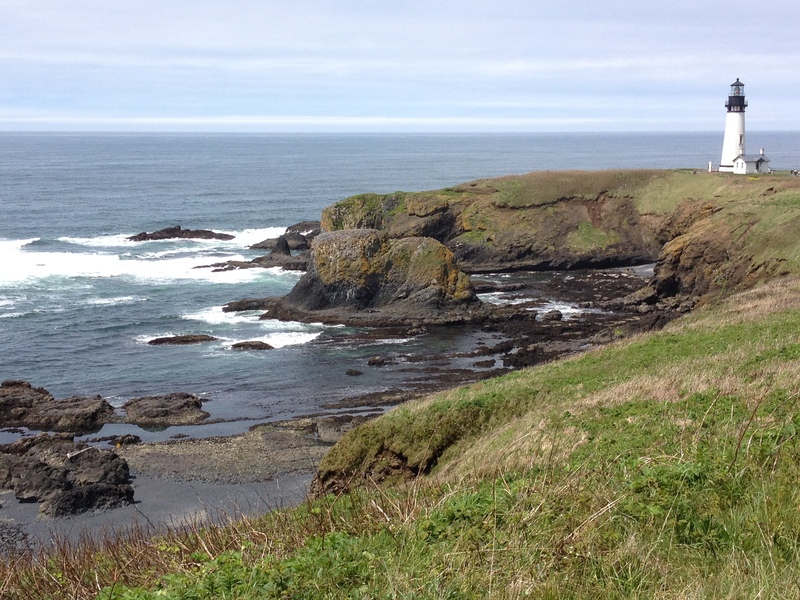 One morning, after visiting Yaquina Head Lighthouse, she and I hiked down a steep hill to a teeming-with-life tide pool. 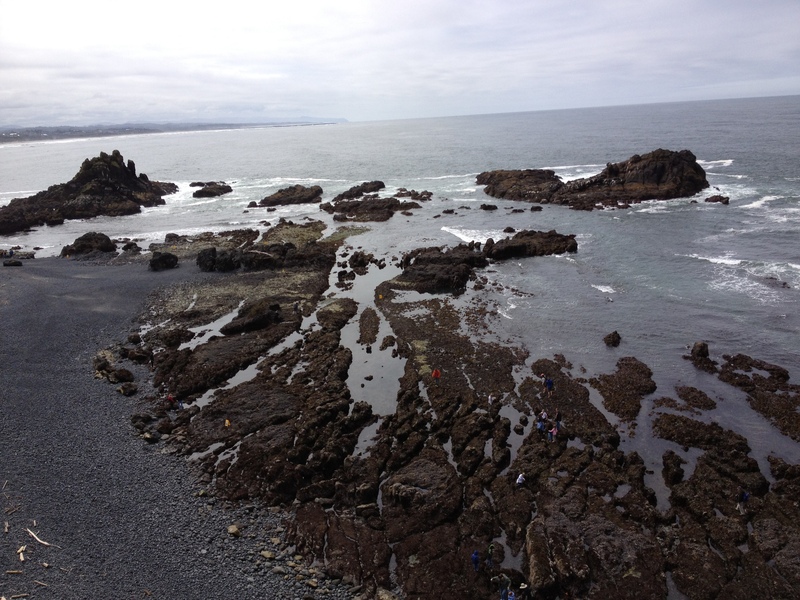 A tide pool is a pocket of water that is left behind when the ocean recedes at low tide. Algae and other intertidal plants grow in the abundant sunlight and support an entire food chain of animals. 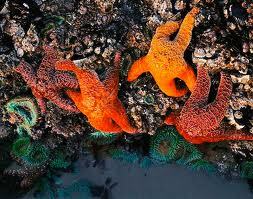 Tide pools provide a home for hardy organisms such as sea stars, mussels and clams. Hundreds of other organisms that include isopods, barnacles, crabs, snails, rockweeds, coralline algae, chitons, limpets, anemones, sea urchins, shrimp, sponges, tube worms, and whelks also live there. And that barely begins to tell the story of life’s diversity beneath the undulating waves at ocean’s edge. Inhabitants must be able to cope with a constantly changing environment — fluctuations in water temperature, salinity, and oxygen content. Some cling fast to the rocky surfaces, while others find shelter in crevices or hide under thick mats of seaweed when the tide is out. A whole universe of creatures that God has created, that have a purpose, that exist in a world I cannot visit not even in my dreams carry out their destiny in these tidal pools. These organisms don’t know or even care that I exist. I do not live in their world. This is a whole universe out there that has nothing to do with me. Or does it? 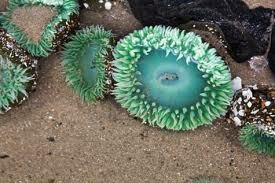 If the anemones are lost, if the life-giving tide does not come in to wash over them, what else is lost? What function do they serve that maintains the balance of life? That maintains balance for me and for my life? Standing at the edge of that pool and gazing over the myriad sea creatures that are revealed in the tidal ebb, I begin to suspect that the mussels, the anemones, the starfish clinging to life and to destiny are doing exactly what God intends for them to do. They are not standing outside themselves pondering the meaning of their existence. They are living it. They are doing precisely what God created them to do. They cling to the rocks. And they wait. They wait for the tide to wash in, to wash over them, to fill them with oxygen and nutrients needed for their survival. For their destiny. They wait. They know that the very thing that they need will come. And so they wait patiently for it. They don’t have to question whether it will come. They don’t have to fret or worry that it may not. They simply cling to the rock. …They are pointing to the Creator. And standing in the shallows on that misty gray morning on the coast of Oregon, I receive a glimpse of that Creator. As I bend down to peer at their curious shapes and color, as I gingerly and hesitantly touch their foreign skins, as I study the intricacies of their unique forms, I witness the miracle and diversity of creation. I see a Miraculous Creator at work. By relishing in the beauty of an anemone, a starfish, a sea urchin, or a whelk, I am holding Miracle in my sight. And, by relishing the miracle of life all around me, I am participating with God in the midst of His story. I am a witness, a participant, a partner. I am truly in relationship with God. Donald Miller surmises that when the credits roll and we meet with God beneath a tree outside the incredible eternal city that he has spoken into existence, and when we tell him the favorite parts of the story he gave us, we’ll get a feeling that what God really wants from us is to live inside a body he made and enjoy the story and bond with him through the experience. Beneath that tree, we’ll sit and remember the story together, and he’ll say, “Well done,” and that he liked my part in the story. And then, like the anemones that wait for the tide, my soul won’t be thirsty anymore. We experienced the story together. That, in itself, is a Thanks. Susan, how beautifully you express this lovely story. I am so glad you went on this trip and that you wrote so clearly about a sight I have never seen. Somehow I felt I was right there with you seeing this miracle of life and understanding my own destiny. I enjoy your writings so much.